London and Ramallah, 15 February 2016 - Lawyers for Palestinian Human Rights (LPHR) and Addameer Prisoner Support and Human Rights Association (Addameer) have submitted a joint complaint to the United Nations Special Rapporteur on the situation of Human Rights Defenders and the United Nations Working Group on Arbitrary Detention concerning the Israeli military authorities continuous 17 month administrative detention of the Executive Director of Bisan Center for Research and Development (Bisan), Mr. Eteraf Al-Rimawi. Mr. Al-Rimawi was arrested at his home on 15 September 2014 at approximately 5:00am when fifteen Israeli military soldiers broke into his home. The soldiers removed Mr. Al-Rimawi from his home and shackled him. Mr. Al-Rimawi has since been continuously held in detention in Ofer prison under five successive administrative detention orders. LPHR and Addameer recognise Mr. Al-Rimawi as a Palestinian human rights defender due to his work as Executive Director of the Palestinian non-governmental organisation, Bisan; an organization which seeks to serve the Palestinian community by implementing various projects and activities to promote social and economic equality within the occupied West Bank and East Jerusalem. His work promoting social and economic rights in the occupied Palestinian territory entitles him to the protections outlined in the United Nations Declaration on Human Rights Defenders, in addition to the legal protections afforded to all individuals under international human rights law. 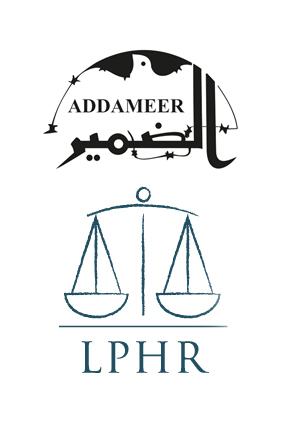 LPHR and Addameer have therefore requested in their complaint that the United Nations Special Rapporteur on the situation of Human Rights Defenders undertake an urgent examination into Mr. Al Rimawi's continued administrative detention and make urgent contact with the government of Israel to urge that he is either immediately released or is promptly charged and receives a fair trial in accordance with full due process guarantees as provided by international human rights law. In this regard, it must be noted that Addameer has concluded that Israel's military court system is in practice incapable of providing a fair trial process, and, therefore, suggests the necessary action is for Mr Al-Rimawi to be released. LPHR and Addameer furthermore view Mr. Al-Rimawi’s continued detention without charge or trial under administrative detention to be a form of arbitrary detention, especially as his detention is based on secret material which has not been disclosed to Mr. Al-Rimawi or his lawyer and thus cannot be adequately challenged. We, therefore, request that the United Nations Working Group on Arbitrary Detention also scrutinises Mr Al-Rimawi's case and makes urgent contact with the government of Israel concerning his prolonged administrative detention. LPHR is a lawyer-based legal charity in the United Kingdom that works on legal projects aimed at protecting and advancing Palestinian human rights. Addameer is a Palestinian non-governmental, civil institution that works to support Palestinian political prisoners held in Israeli and Palestinian prisons.